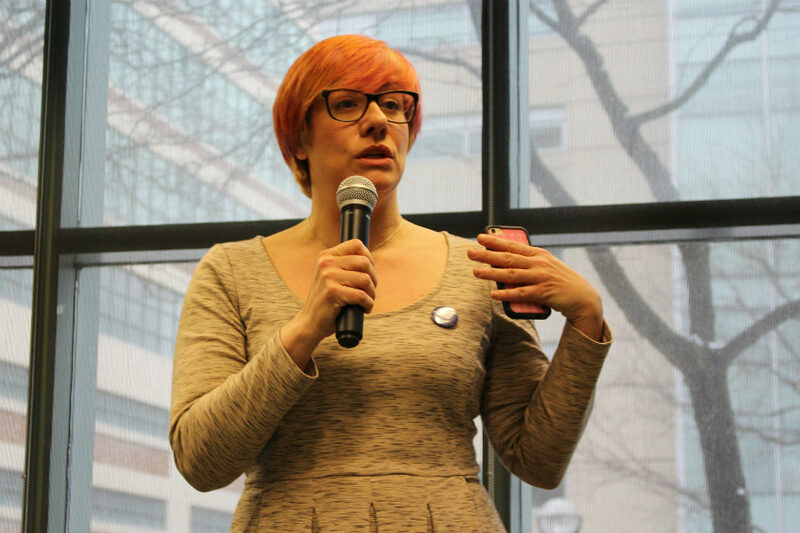 Journalism matters now more than ever, the media director of the Canadian Civil Liberties Association told journalism students and faculty during the Ryerson School of Journalism’s (RSJ) recent teach-in day. Gail Cohen, former editor of the Law Times, said that while the news industry is struggling to adjust to digital and business challenges, the fundamental role of journalists in a democracy has not changed. “[Journalism] changes the law and it uncovers tremendous harm,” Cohen told the crowd. “It rights wrongs by shining light on unjust and harmful behaviour by individuals, corporations and most importantly, by the government. The RSJ cancelled classes on March 14 and instead hosted a daylong program of workshops and panels designed to help students make sense of the current news environment. 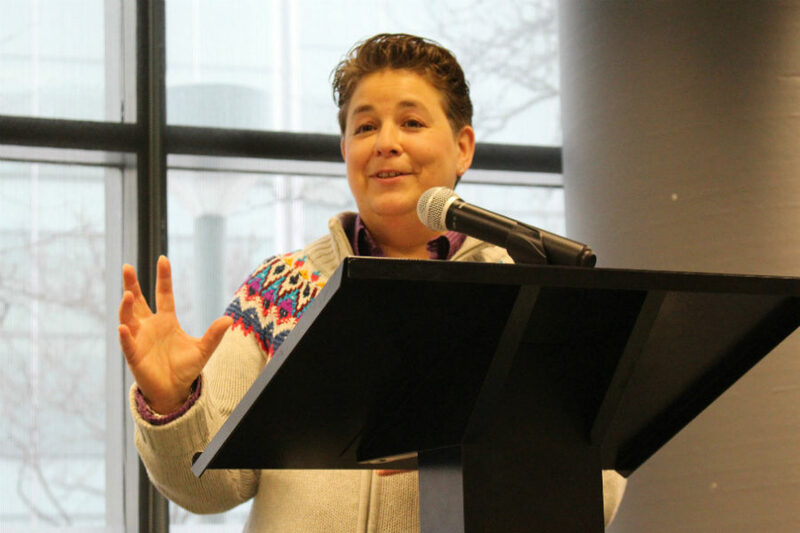 These sessions were designed to equip students with the skills and knowledge to manage at a time when “journalists – and so many others – are being insulted, demeaned and dismissed,” reads the teach-in’s website. Paradkar said when her column on race and gender launched she “only expected negativity.” She therefore celebrates any positive comments that come to her and engages senders in conversation. “It’s only when people actually come with a point and counterargument that I’m able to have a discussion,” she said. The need for journalists to give voice to the voiceless was also a theme during the event’s workshop: “Refugee, Immigrant, Permanent Resident, Citizen: Why you need to know the difference.” Graham Hudson, an associate professor in Ryerson’s criminology department, said journalists have a responsibility to make sure the voices of non-status migrants are heard and to ensure the public understands what the migration experience really looks like. Using the term “illegal migrant,” on the other hand, “distorts the discourse,” Hudson said, noting that it has been used incorrectly to describe refugees crossing the U.S. border into Manitoba and Quebec. In fact, he said, asylum seekers have a “legal right to enter a country without legal permission. It sounds weird, but that’s how the statute of Immigration and Refugee Protection Act was phrased and that’s how international law is phrased and it makes a lot of sense. Terms such as “illegal migrants” are used to frame debates and shift discussion – and media coverage – away from “what’s going on in the real world of migration,” Hudson said. 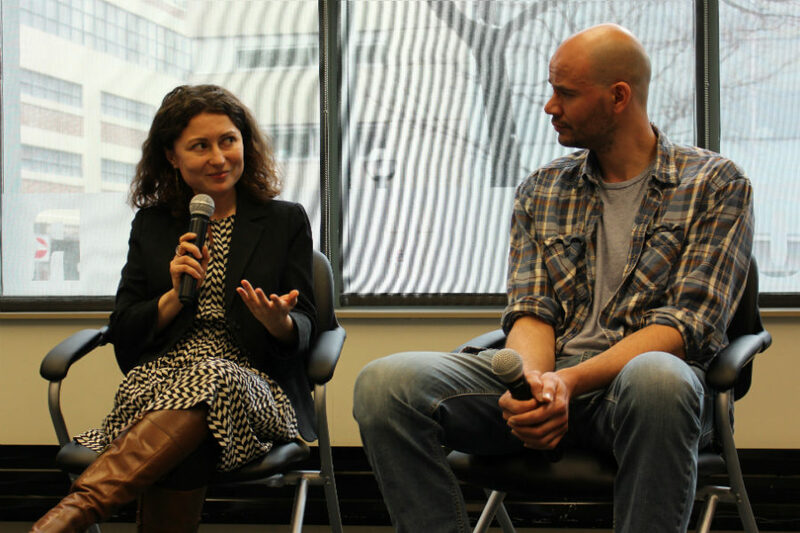 RSJ graduate Melita Kuburas, who was also part of the immigration workshop, said she and her family came to Toronto as refugees in 1993 and that a Toronto Star article about her family’s arrival influenced her career choice. Kuburas, who is now the associate managing editor of Metro News’ entertainment and lifestyle section, said her parents kept a clipping of the story and photo in a drawer. “I always looked at the [photo] and I think – I’m sure – that symbolically, that made me want to go into journalism,” she said. Kuburas and her family were Bosnian Muslims caught up in the civil war and conflict after the breakup of socialist Yugoslavia. “One day, we just saw tanks coming through our little town and Serb military soldiers knocked on everyone’s doors,” she told the rapt audience. The soldiers ordered teenage boys and all grown men, including her father, to go with them, Kuburas said, but one of her youngest uncles – who was only 18 at the time – fled and hid. The body of her grandfather, she said, was found in a mass grave along with 200 or 300 others. Her father was shipped to a concentration camp, where he was “starved, beaten, kept from his family for nothing more than being Muslim,” Kuburas wrote in an article about her own refugee experience following the announcement in 2015 of Canada’s plan to take in 25,000 Syrian refugees. Kuburas said the family was reunited with her father in December 1992 with help from the Red Cross, and a year later they came to Canada as government-sponsored refugees.